Welcome to Academy of Sound's Winter 2016 Newsletter! We have enough to share that starting next year Academy of Sound is going to be putting out a new newsletter each and every month. Look forward to reading our newsletter more often to keep up on Academy of Sound News! Stay subscribed to this newsletter and our Facebook Page to get all the latest. Academy of Sound's Holiday Recital was on Sunday, December 18th. Order your color, printed DVDs by contacting oregoncableaccess@charter.net. Please note how many copies ($14 per copy) you would like to purchase and your phone number. Make checks payable to “Oregon Community Foundation." Adam Chisman has signed on to be the (interim) Managing Director at Academy of Sound. Adam will be managing our offices, faculty, programs, and email & phone communications. Please direct any questions or comments to him. Our full calendar is here. Please subscribe if you use Google Calendar and/or iCal. Jeremy was nominated as this newsletter's Featured Student. He has been working hard this year to spice up the songs in his repertoire and taking his time to make sure he is practicing correctly. His work has evidently paid off, and was on display at Academy of Sound's 2016 Holiday Recital. I had a chance to interview with him after lessons this week while Rojo (our drum teacher) was taking down the drum sets. Adam: Hello! I wanted to do something a little different than the bullet point Q&A that we have done in the past. Thanks for letting me interview you! ... Alright, What grade are you in? Adam: 8th grade. that is a good year. do you have any favorite subjects in school? Rojo: Maybe because of all the counting you do here (in lessons). Counting to four over and over again! Adam: Do you have any other hobbies outside of school? Jeremy: No, I mean, Drums and sports like basketball. Adam: Cool. That also starts in on my next question: What instruments do you play and why? Adam: Do you have any favorite drummers? Jeremy: Well I have a lot.. like Rojo[laughs], and I watched a concert of the Trans-Siberian Orchestra and it was kind of cool seeing the drummer. 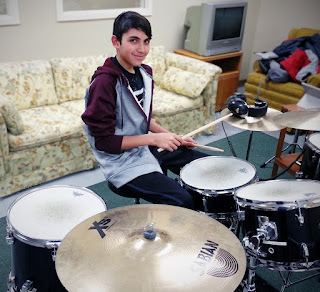 Adam: One of the things the person that nominated you to be featured student noted was your excellent practicing habits... Do you have any practice tips for any other students that might read this newsletter? Jeremy: Oh, well if you get kind of bored or frustrated with a song you are working on, maybe try playing a different song to cool down and then come back to it. Adam: That is good advice! One last kind of random question for you. While Michael (one of our teachers) and I were thinking of questions to ask for an interview we thought this one was kind of funny. What is your favorite breakfast cereal? Jeremy: [laughs]Cocoa Dyno Bites I guess! Many thanks to Jeremy for letting me interview him for this newsletter! I hope all our readers know him a little better! If you would like the official sheet music for popular songs, contact office@academyofsound.org and we can have it ready for you by your next lesson! Please allow three days for shipping. Bridget Schwefel began studying music at the age of 6, and has not stopped since. A native of McFarland, she participated in as many choirs, musicals, and Solo/Ensemble festivals as possible, including the Wisconsin High School Honors Choir. Her interest in music eventually led her to Viterbo University in La Crosse, WI, where she received her Bachelor of Fine Arts in Music Theatre. During her time there she participated and was a finalist in two NATS competitions. 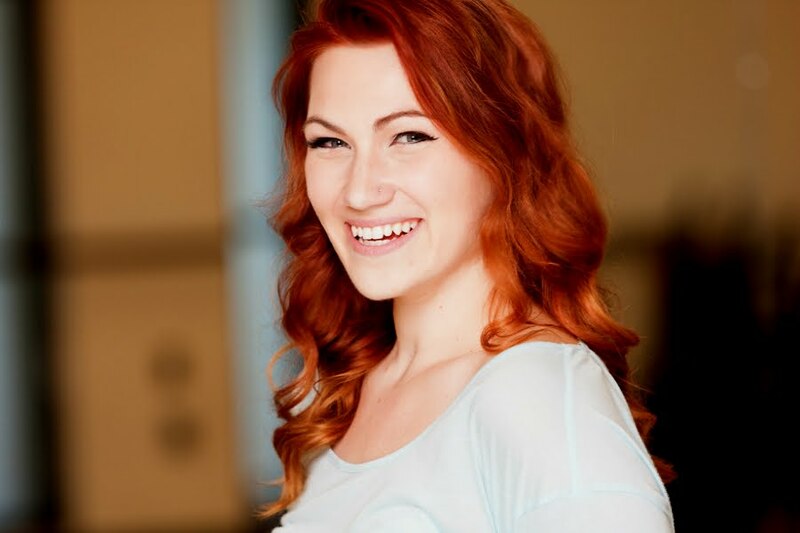 She was seen on the Viterbo Fine Arts Center mainstage as Ado Annie in Oklahoma, as well as at the Weber Center for Performing Arts in Wouldn’t It Be Loverly: A Lerner & Loewe Revue, where she had the opportunity to perform with her college voice teachers. She has also performed with many Madison theatre companies including Music Theatre of Madison (Claudia in Nine); Four Seasons Theatre (Eponine in Les Miserables); Middleton Players Theatre, and Children’s Theater of Madison. Bridget joined the Academy of Sound faculty in Fall of 2016 and teaches on Wednesdays. 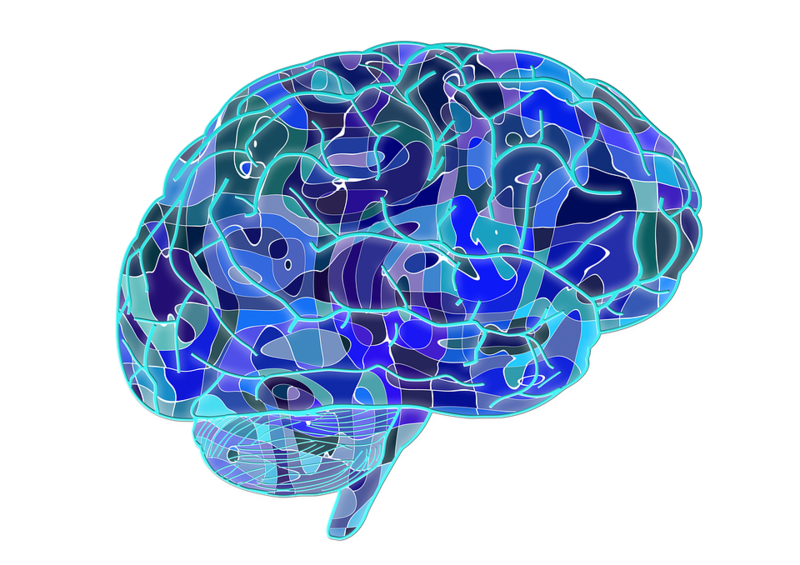 A short, but interesting read for all caregivers of musicians. Academy of Sound supported the “Once Upon a Mattress” play put on by Oregon High School November 11 - 13. We had four of our current AOS students, and too many alumni to count. Congratulations to all on an excellent production! Charlotte Hendrickson: 5 out of 5! Academy of Sound had it's Holiday Recital on December 18, and was well attended despite an unexpected reschedule due to the winter storm. All of our recitals are now opt-in only. Sign-ups are done via the Parent Portal. Signing up for a recital or concert is easy -- just like signing up for a class! Makeup lessons will be handled via group workshops (May 30 - June 1).